Nintendo is hosting a Pokémon Direct tomorrow morning. That was announced earlier this week. What wasn’t announced, however, was the full scope of what they’d cover during that presentation. 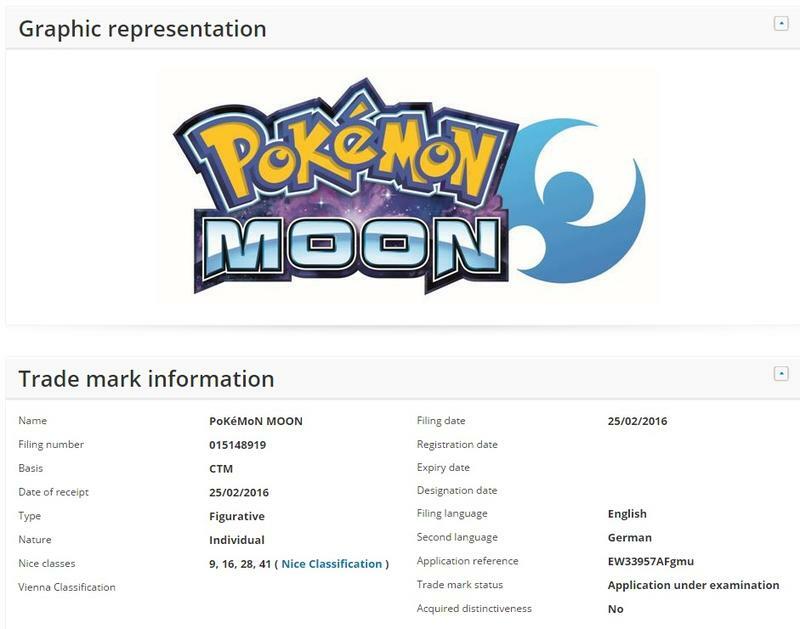 Well, a fresh Trademark filed in Europe might have leaked the massive reveal. 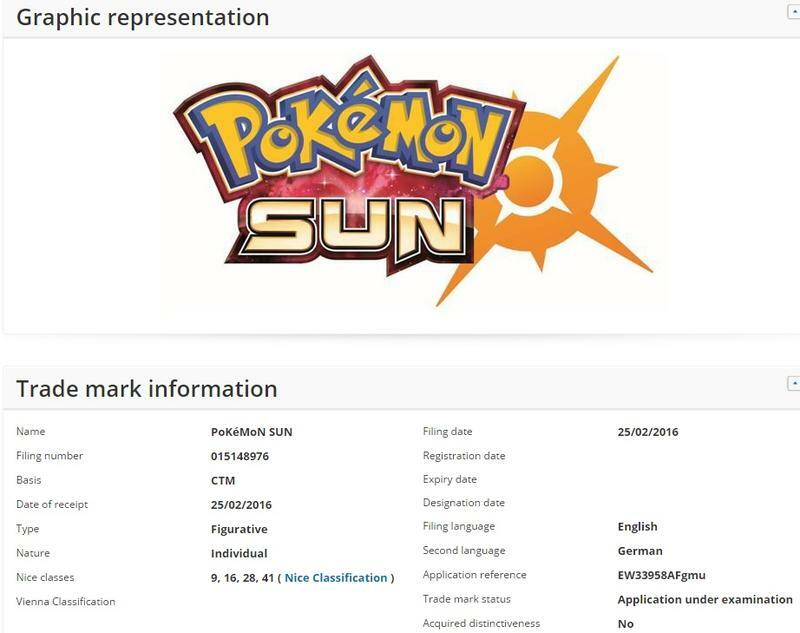 Nintendo trademarked Pokémon Sun and Pokémon Moon, complete with the logos you see at the head of this post. The trademark filing occurred today, February 25, 2016, and it was filed in both English and German. The filing was first noticed by newcomer outlet NerdLeaks, though we’ve searched the database and found the trademarks as well. Their existence has been confirmed. Here are screenshots of both pages, with actual links in the source field below. We’ll have an embed of the Pokémon Direct tomorrow morning. It starts at 10am ET. It’s there that we’ll find out which platform these games are for, or if they even exist at all.